After what appears to have been an emotionally draining injury-rehabilitation program, American Ballet Theatre and Bolshoi Ballet star David Hallberg has returned to the stage. A little over a year ago, Hallberg buzzed his hair, posted a semi-cryptic message on Instagram and dropped out of the ballet world altogether. He moved to Australia to treat a lingering ankle injury, specifically seeking out Sue Mayes and the Australian Ballet's physical therapy team. Now healthy, he made his comeback in Sydney on the evening of December 13. He performed the role of Franz in Coppélia, as a guest artists with the Australian Ballet. Hallberg tackled his therapy program with a dancer's usual determination and drive, though that didn't keep him from experiencing self-doubt. "Emotionally, some days I was just going by the words of my team and not my own self-belief," he told the Sydney Morning Herald. 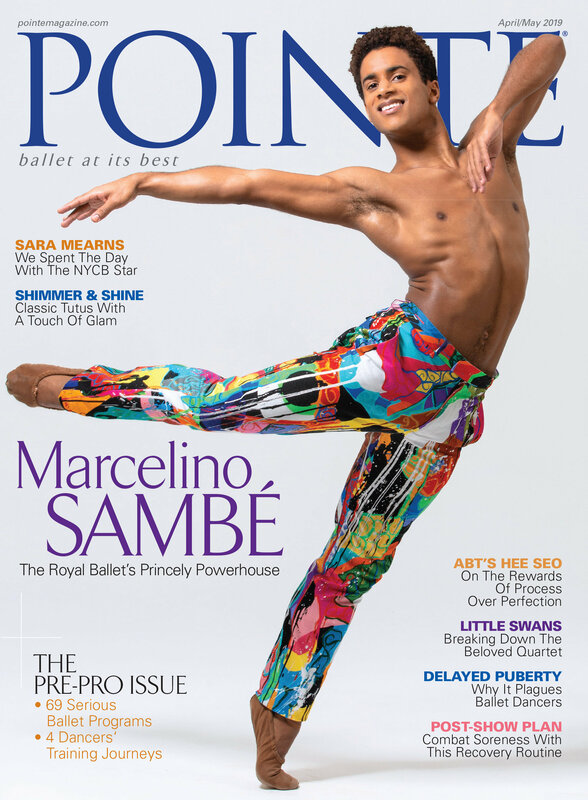 His pride also took a knock, when students from the Australian Ballet School witnessed him slowly working his way back from injury to peak condition. Fortunately, those moments of struggle have paid off: Not only was Franz a brand new role for Hallberg to add to his repertoire, but the entire ballet world wished him well during his comeback performance. Australian audiences can still catch the danseur noble on December 16, 19 and 21. We'll keep you updated on his next moves! As dancers gear up for year-end performances, the extra workload can take its toll. If you've pulled a hamstring, or are worried it might happen, read up on Amy's advice for proper healing. A pulled hamstring—tears that occur in the muscle when the hamstring is suddenly overstretched or overloaded—needs to be taken seriously if you want to heal properly. I didn't take enough precautions when I pulled mine years ago, and my flexibility in that leg has never felt quite the same. “Hamstring injuries can take a long time to heal due to the potential accompanying injury to the nervous system," says Andrea Zujko, PT, DPT, OCS, COMT, clinic manager of Westside Dance Physical Therapy in New York City. Recovery time depends on the severity of the strain, and Zujko discourages self-diagnosing. “A physical therapist can help you more clearly diagnose the injury and develop a prognosis and plan to return to dance." One thing is certain—don't stretch a pulled hamstring too soon. For the first five days (longer for serious strains), don't dance or stretch. Do use ice and compression during the first 72 hours. Then, you can gradually start gently releasing the soft tissue using a tennis ball, Zujko says, followed by range of motion exercises and pain-free stretches, including this one: Lie on your back with both knees bent, keeping a neutral spine and pelvis. Raise the injured bent leg to a tabletop position, with the angle of both your thigh and lower leg at 90 degrees. Holding on to your thigh, gently straighten and bend the leg through a pain-free range (keeping the foot relaxed and the leg parallel). Do 5 sets of 10 throughout the day when you're warm. As your hamstring heals, you can progress to a sustained, passive stretch, using a yoga belt. Hold the stretch for 30 seconds, doing 5 repetitions two to three times a day. Isometric strengthening exercises can help, too, Zujko says. For example, sit comfortably on a chair, keeping the knees at a 90-degree angle. Using 5 to 10 percent of your strength, gently press your heel into the floor to create a light contraction in the hamstring, holding for 5 seconds; repeat 10 times. Have a question? Click here to send it to Amy and she might answer it in an upcoming issue! A month is a long time to go without taking class—I usually give myself a week or two after a heavy season to rest my body and heal any minor injuries. But one year I took a fabulous month-long trip to Europe and, I admit, never even thought about dancing! Coming back was tough—I was incredibly stiff and my core was mush. But if you remember to stretch and stay active every few days, you’ll have an easier time than I did. Many hotels and resorts have exercise facilities where you can make use of the elliptical machine, stationary bike and free weights. Or you can take advantage of your surroundings—hiking trips, walks on the beach, bike rides and canoeing are some activities that will keep you moving. Personally, I love to swim, and sometimes I’ll give myself barre in the pool. And Pilates, yoga, Thera-Band exercises and stretches can be done from the comfort of your hotel room. It may be helpful to set aside a special time of the day to exercise, like in the morning before you head out to sightsee. It’s great that you want to stay in shape while you’re away from home. But sometimes it’s good to give your body a break. Remember to relax and have fun, too—you’re on vacation, after all!